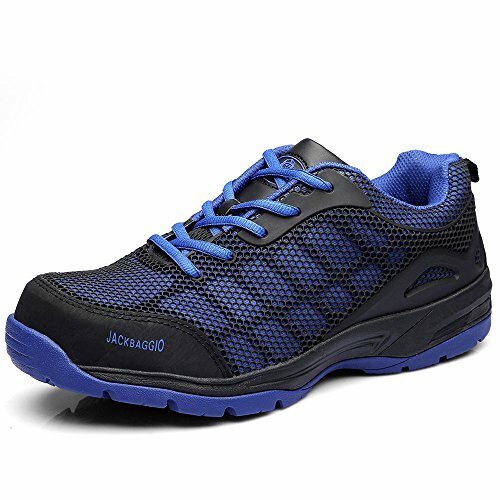 JACKBAGGIO steel toe shoes men are made with modern breathable materials KPU upper and feature Hi-poly cushioned insoles to keep your feet secure and comfortable all day long. Steel toe cap guard to protect you against abrasion. Rubber+EVA outsole offers better grip in wet or slippery work conditions. If you have any questions about this product by JACKBAGGIO, contact us by completing and submitting the form below. If you are looking for a specif part number, please include it with your message.